Hello friends, it has been a while since I published here. 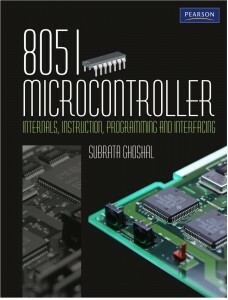 This article is for students and hobbyists who are interested in playing with microcontrollers. 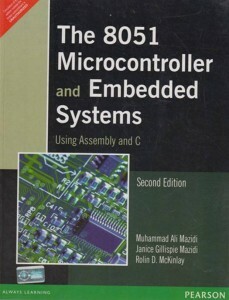 I thought of introducing you to a handful of cool and really useful books on 8051 micro controller. The books suggested have been provided with links to shopping sites to buy from USA, India and UK. 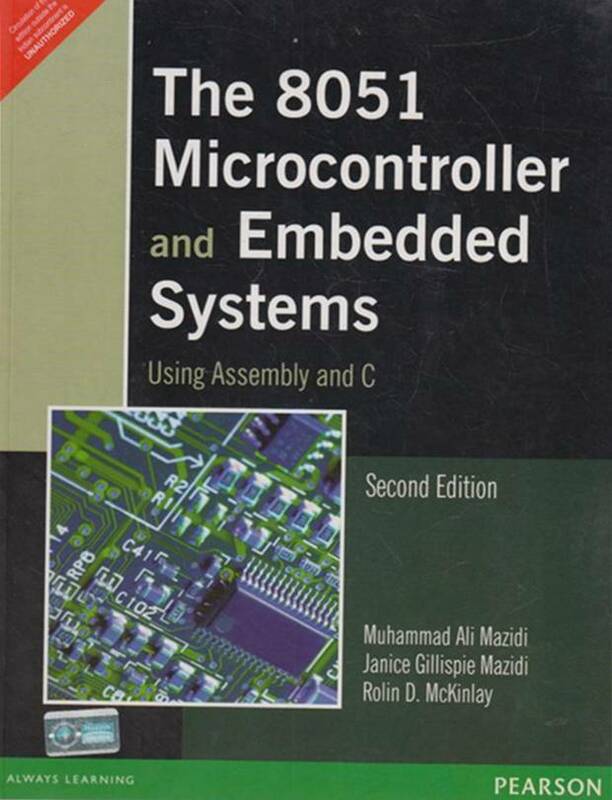 Many of the students out there who already know about 8051 controllers will be surprised to see this book ranked as #1 over the top of Mazidi and Ayala 🙂 I will say this is one of the best books to get started with 8051 micro controller. 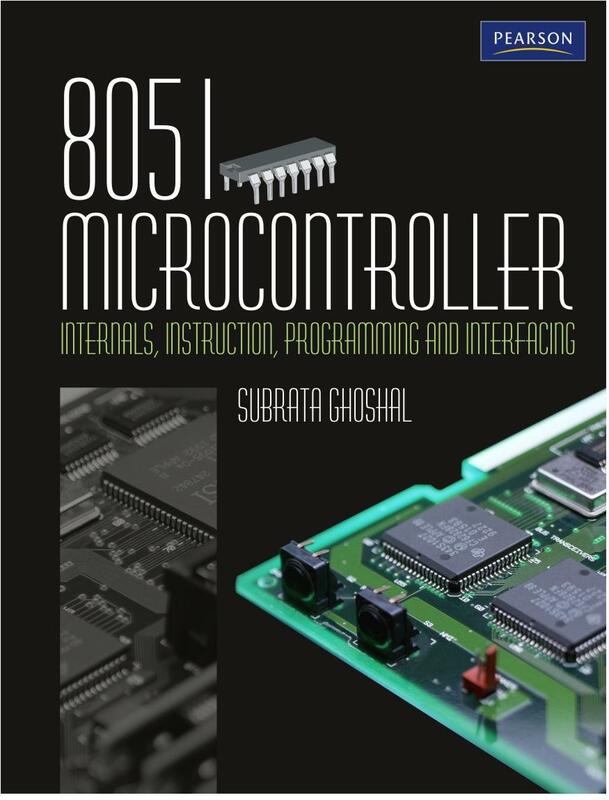 The author Subrata Ghoshal has done an amazing job with this book that any layman can get a great idea about micro controllers and its working. You only need to have an idea of the basic stuffs in electronics to follow this book. Interrupts are explained really well – especially external interrupts, timer interrupts and serial. Interfacing of 8051 with external devices – Display(LED,7 segment,LCD),Keyboards, Motors(Servo,Stepper,DC), ADC/DAC, external memory are all explained in individual chapters for each with examples. Subrata Ghoshal – is a professor in Electronics Engineering who obtained his phd from IIT -Bombay. He has worked with many prestigious institutions of India like BITS Pilani, Sikkim Manipal University. While writing this book he has been working as a professor at Embedded System Design dept of IIIT – Pune. Note: I personally recommend this book as your first choice. The book I recommend here is the second edition from the author trios – Muhammad Ali Mazidi, Rolin Mckinlay and Janice Gillispie Mazidi. For years this book enjoyed a great popularity among students (through first edition without C programming) and 8051 enthusiasts. Still this book is one of the most popular books out there on 8051 and the authors are renowned world wide. The single reason I ranked book of Subrata Ghoshal above this one is “easier understanding”. Ghoshal has been successful in developing his book in the most “easy to read and grasp” format. I suggest you buy this book too along with the book of Subrata Ghoshal, as this book by Mazidi focuses on C programming of 8051 along with assembly language. As a student you really need to know program 8051 using embedded C language. In the initial phases of your learning curve, assembly language is enough for writing programs (and you should start learning 8051 software by writing in assembly language as it helps you to understand concepts better). But when it comes to advanced software development for 8051, the “embedded C” will be more handy. The reason is, its is more easy to program using C language than using assembly language. It can save your time and makes possible efficient coding! A chapter on the introduction to 8051 C programming. Programming Timers using C language. A chapter dedicated to DS12887 RTC (real time clock) chip with examples . A chapter on interfacing of motors, relays, sensors, optoisolators etc. A dedicated chapter on interfacing external memory using C programs. Mohammad Ali Mazidi is an Iranian electrical engineer who holds a Phd from Southern Methodist University. As of now he teaches Microprocessor based systems in Devry University, Texas (USA). Coauthor Janice Gillispie Mazidi has several years of experience as an embedded software developer in USA. She holds a masters degree in computer science from University of North Texas. I hope I don’t need to introduce you to the author! Kenneth Ayala is a popular author when it comes to 8051 microcontroller and his books are recommended by many college faculties. The basic contents of this book are same as the above two ones. But then what differentiates this book?Â Well, that’s “simulation”. This book comes with chapters dedicated for simulation the of the 8051 programs and software using uVision2, an integrated development tool from Keil. Also the author has written a great detail about “How to use the A51 assembler” – which will be really useful when a student tries to apply his learnings in the real world using programs. So if you are interested in testing some real world applications using 8051, you can consider buying this book ad this integrated development software that comes with this book can help you a lot with software development, especially debugging, simulation etc. Note: The uVision software from Keil is free to download. You can download it here. You dont need to buy this book for that software. But the tutorials over the web about using KeilÂ uVision is not really that good. So if you buy the book, you can save a lot of time searching for tutorials to use theÂ uVision software. Finally I recommend a good book to do some real world projects using 8051. The author is the same Subrata Ghoshal, I recommended in Book #1. In my opinion every student or “learner” should try real world projects after learning theoretical concepts. This real world practice is where one will truly understand theory. 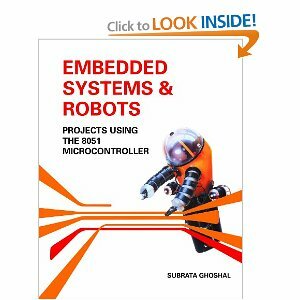 This book teaches in detail about “real time embedded systems” and how to make one yourself. There are 11 projects described in this book with well explained photographs. All projects are in the “DIY” or Do It Yourself format and the book is designed in a fashion such as it advances from simple and easy ones to more complex ones. All projects include complete hardware details and software. All of them are tested and made by author himself. Photographs of all projects from start phase to final phase is available. PCB layouts are given for many projects. Most of the projects in this book are of “Robotics” – like line follower robot, maze solving robot, object detection robot, humanoid etc. Two projects are given on developing an intelligent clock and an advanced clock display with alarm and stopwatch. 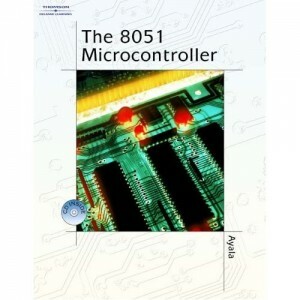 If I missed any great book on 8051 micro controller, please comment here. It will be useful for all readers and me, myself 🙂 Happy learning! Very good book for freshers. This book covers all the things which are missing in the most popular existing books. I doubt whether you write these posts after actually reading the books or you write because the publishers or authors pay you to do so. I read Subrata Ghosal on your recommendations and found book 4 full of printing and factual errors. So much so that the author calls a clock a ROBOT. Please stop misguiding learners and Prof. Ghoshal, plaese stop writing such trash. @Anurban – We read these books before promoting them. We dont get any commissions from the publisher/author. In this particular article, I say, “Indian Editions”. I thought Ghoshal would be more attractive to begin learning for Indians. Ofcourse you must read Ayala and Mazidi – they are the best one’s available! Printing errors are a part of any book. Its the second, third and fourth reprints- that gets refined to be free of errors. @Anant – Sure. Will publish a post with PIC books soon. The second book by Mazidi is a great one. I would strongly recommend that one.